Kratom liquid extract are a novel offering from ethnobotanical retailers that have recognized the demand for stronger and more convenient products. Delivering the concentrated power of a powdered extract combined with the versatility of a tincture, kratom liquid extracts satisfy both of these needs. Is this new breed of extract worth the higher price tag? Some may find the cost to be initially prohibitive, but in the long run its benefits may make it a good bet for budget-minded kratom lovers. What is the best way to use liquid Kratom and are there any other considerations that you need to keep in mind? Most of us are used to seeing kratom in its primary commercial forms – as a dry, fine powder or as crushed leaves. Of course, kratom originates as the large green leaf of the Southeast Asian Mitragyna Speciosa tree, a native of countries like Vietnam and Thailand. Traditionally, indigenous cultures chewed on the raw leaf itself to release kratom’s powerful natural alkaloids into the bloodstream. As use spread to the West and the leaves needed to be transported over great distances, the practice of grinding dried leaves into powder became a practical way for the masses to sample kratom. Then, as the global taste for ever-new varieties grew, users started to look for more potent methods of consuming kratom, and hence the extract was born. 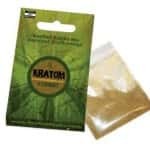 Kratom liquid extract is made by dissolving the leaves of the plant into an ethanol solution. 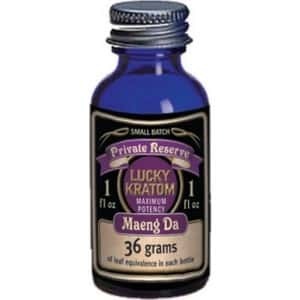 Also known as a tincture, this liquid contains a highly concentrated dose of kratom alkaloids like mitragynine, thought to be responsible for the majority of this herb’s effects in humans. 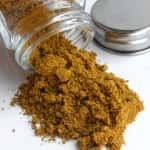 Another product by the name of extract powder reduces this extract liquid even further, until it boils down into a solid, dense block, which is then crushed into powder. 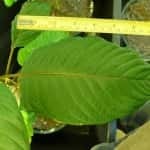 Both of these methods deliver the active compounds at many times the strength of regular powder, and for this reason very little must be consumed to manifest kratom’s effects in the body. Just How Strong Is Kratom Liquid Extract? Though numbers vary by manufacturer, most kratom extracts clock in at between 10x – 20x. That means that 10 to 20 times the weight of the final product was used in the making of the extract. A Full Spectrum Tincture extract, which preserves not only the powerful mitragynine alkaloids but also the dozens of supporting alkaloids it interacts with, cannot physically be made stronger than a 20x ratio. Why is Full Spectrum status important? Kratom’s effects are a direct result of the harmony of all its alkaloids, even if they are in very small quantities. Some manufacturers focus on the “star player” mitragynine, which can be isolated at far stronger concentrations on its own. However, this does not equate to a more potent product for you. 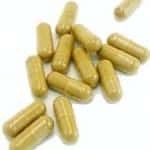 The safest and most effective way to use this herb is by taking it in a form that retains the full spectrum of alkaloids naturally present in Mitragyna Speciosa. Dosage Information: The proper dose of liquid extract is 1 dropper of extract for a low to moderate effect. For a strong effect with a longer duration, 2 droppers of liquid may be used. Exceeding this amount is not recommended for most users. Simply empty out the dropper, then insert it into the bottle of kratom liquid extract, giving the plunger a good squeeze. The liquid will not fill all the way to the top of the dropper. Don’t worry about this – you can always add more liquid later. Now, place the tip of the dropper under your tongue, and squeeze out the liquid. The area under the tongue provides a faster absorption passageway to the bloodstream without travelling through the stomach, so try to hold the liquid there as long as possible. You can swallow the liquid, but be warned that the concentrated nature of liquid extract can make it very bitter-tasting for a few moments. It can also lead to nausea in larger doses. Wait 1-2 minutes and then take a sip of water to clear the taste. One of the top benefits of a liquid kratom extract is the very swift onset of kratom effects. As the kratom doesn’t have to be digested and passed onto the blood by the stomach, alkaloids take an express train to your cell receptors. Many people report a near-instant awareness of some effects. Extract liquids and tinctures typically come in 15ml bottles, which translates to between 6-10 doses depending on how generous you are with the dropper. The price for one of these bottles is comparable to what you would pay for an ounce of high quality kratom powder, which will deliver roughly the same amount of doses. So, per dose the price is about the same. Tinctures start to become quite economical when you take advantage of multi-bottle orders, which can cut the price by as much as 67 percent. This Kratom Tincture from Arena Ethnobotanicals becomes a superb deal when you buy the three-pack, coming out to around 2 dollars or less for per dose. A kratom liquid extract could indeed become a viable method for ingesting kratom for many users. The lack of preparation required and very fast onset of effects make this new format very attractive – while the current price deals make it utterly irresistible.